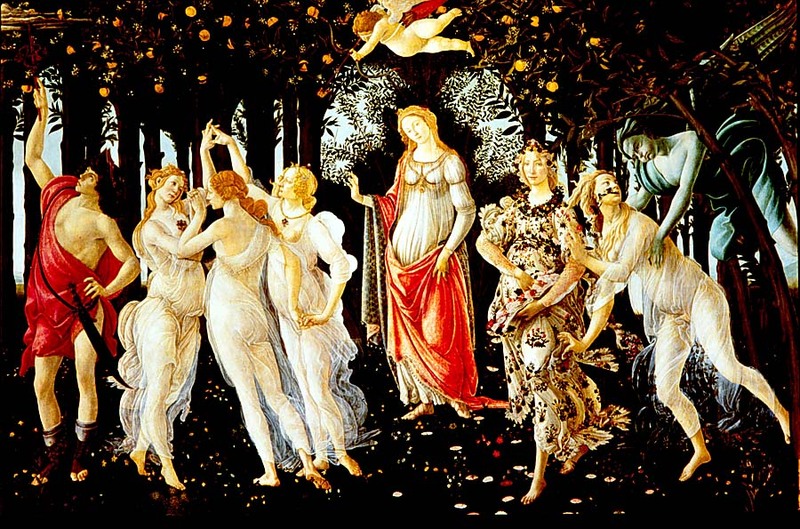 Primavera by Sandro Botticelli uses motifs from nature to signify the Medici family. Created for Lorenzo di Pierfrancesco de'Medici, one of Lorenzo the Magnificent's cousins, Primavera features the symbol of the Medici family, oranges. This tempera on wood painting was probably made to commemorate the May 1482 wedding of Lorenzo di Pierfrancesco de'Medici. Primavera portrays love in spring with Venus and Cupid at the center of the composition. To the right the nymph Cloris transforms into Flora, the goddess of spring, wearing a floral gown. 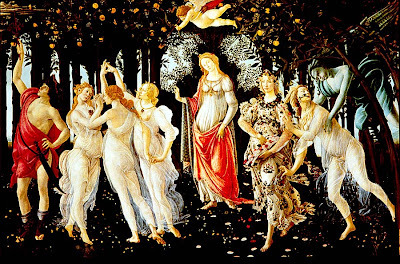 Botticelli was a fabulous colorist and this can be clearly seen in Primavera. The sensuality of spring is shown through the brilliant colors and the characters featured within this painting. Landscape with swallows, Spring Fresco, clearly uses motifs from nature. Categorized as Minoan art it was created around 1650 BCE and it is one among many that adorn the walls in a private house. 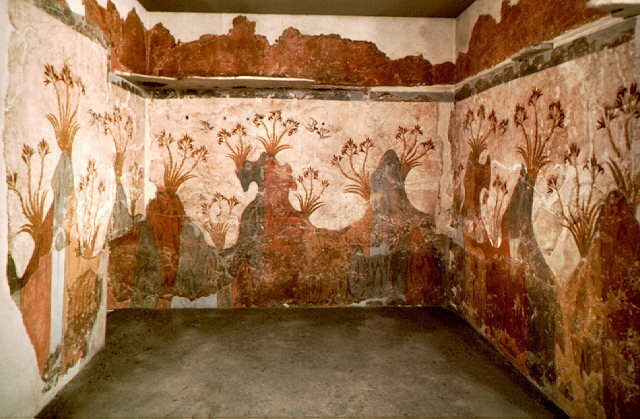 It is one of the earliest examples of a pure landscape. No piece of art can have more ties to nature than a landscape but a landscape has so much more to it than just nature. In Spring Fresco the artist tried to portray more than the rocky terrain by capturing the essence and emotion of the land. This landscape is very whimsical and very much spring. The lilies sway in the cool island breezes of Cyclades, Greece as the swallows dart around the vividly colored rocks. Curving lines help create the flow and delicacy of spring in this painted wet fresco. The essence of spring is very much captured within this fresco by a Theran painter.